K-39/K-39B. Drain Cleaning Machine. 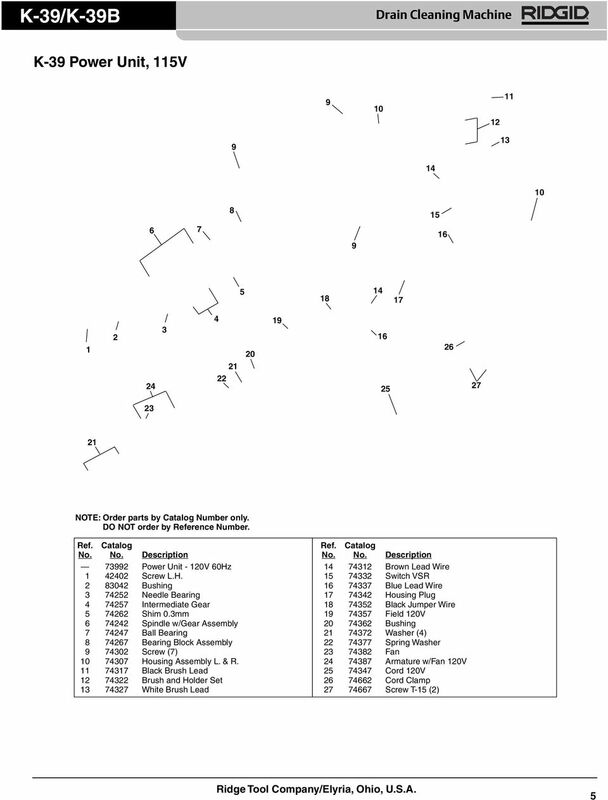 Ridge Tool Company/Elyria, Ohio, U.S.A.
Download "K-39/K-39B. Drain Cleaning Machine. Ridge Tool Company/Elyria, Ohio, U.S.A."
Buy Karcher Parts Online: www.pressureparts.com. Need Technical Help? Call: 1-800-999-2245 email Requests to: sales@pressureparts. Section B PINSENSING AREA May 1992 1B Index 1. 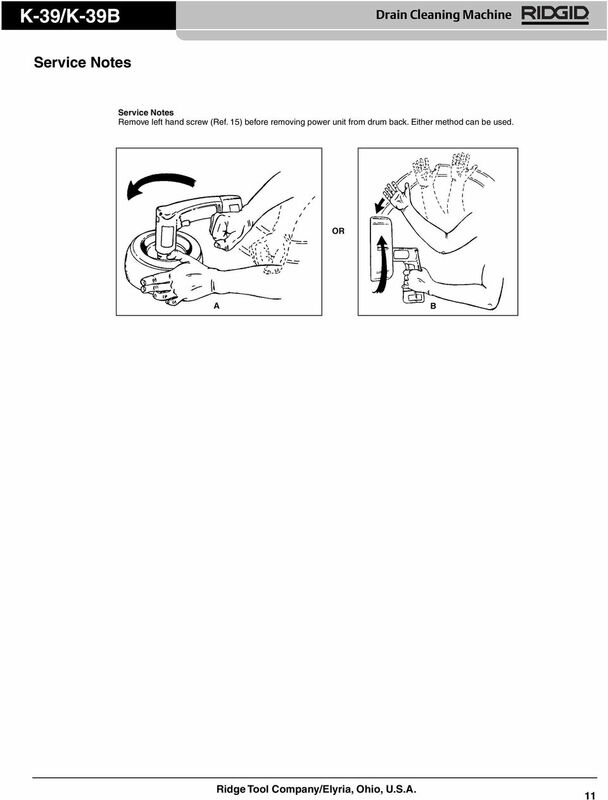 17-600521-000 Spring Clip 2. N.A. Pivot 3. 17-600516-000 Swivel Base 4. 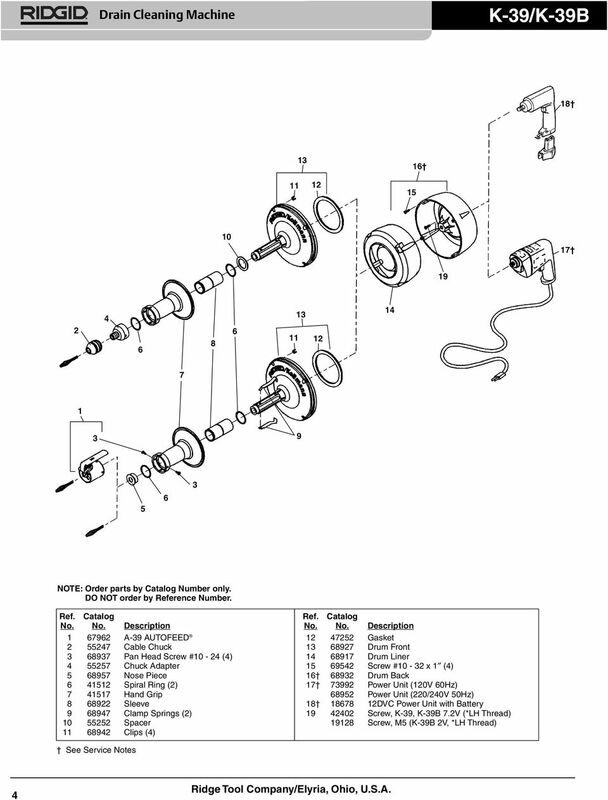 17-600824-000 Lens Assembly 5. 17-600515-000 Pivot Base 6. 17-600514-000 Clamp 7. No. 35K Pipe and Drain Cleaning. 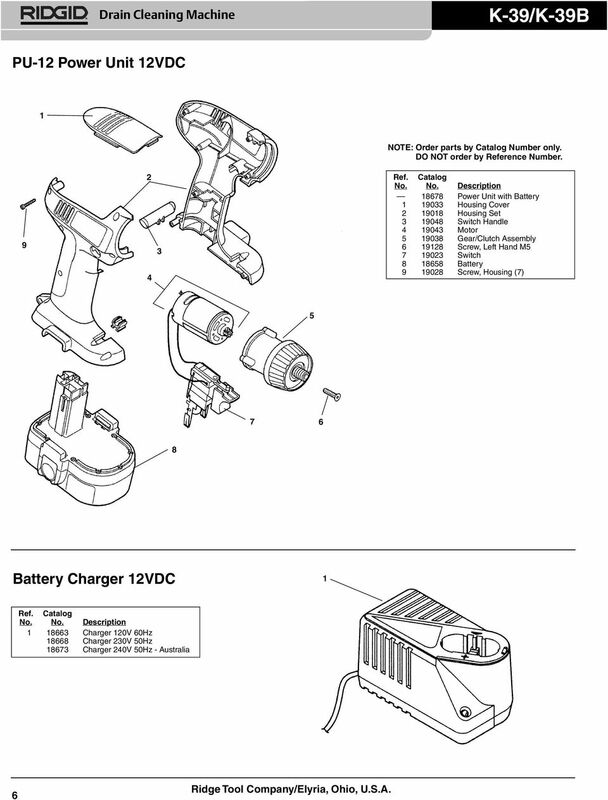 Equipment Parts Catalog. July 2001. Kollmann. Ridge Tool Company, 400 Clark St., Elyria, Ohio 44035-6001 U.S.A. Drain Cleaning and Diagnostic Equipment. 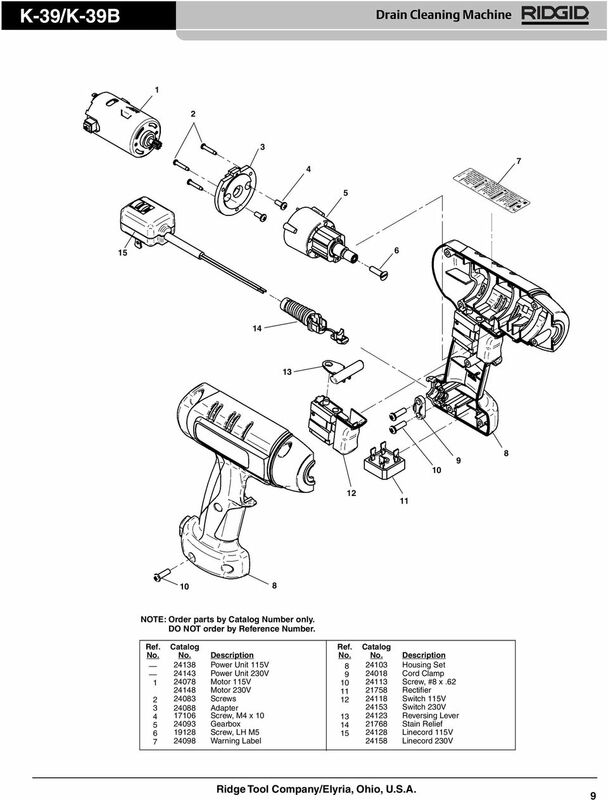 Parts Catalog. June 2015. Ridge Tool Company, 400 Clark St., Elyria, Ohio 44035-6001 U.S.A. Drain Cleaning and Diagnostic Equipment. 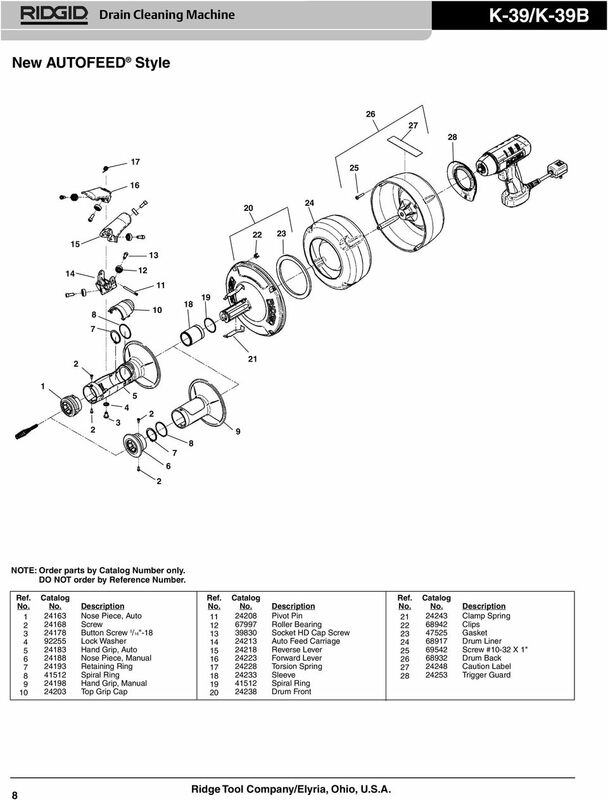 Parts Catalog. June 2010. 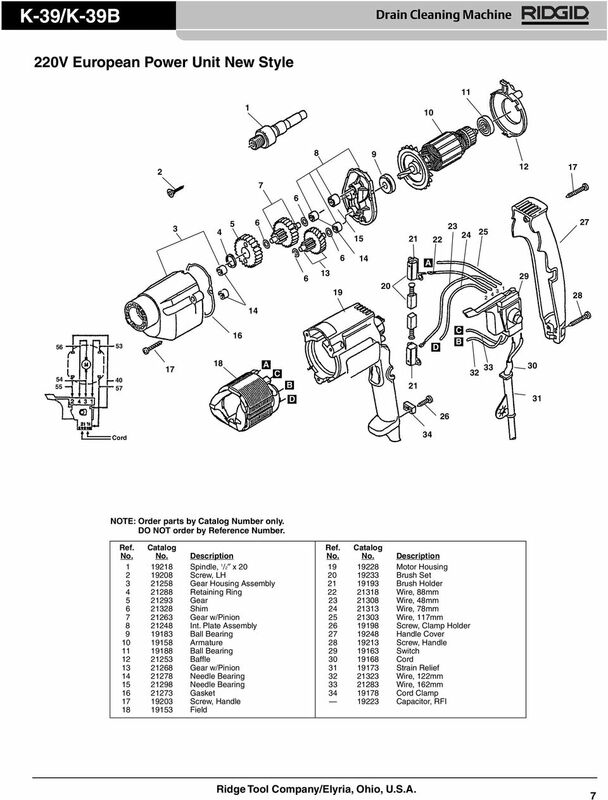 Ridge Tool Company, 400 Clark St., Elyria, Ohio 44035-6001 U.S.A.
CHAPTER 7 PARTS LISTS, SCHEMATIC DIAGRAMS AND WARRANTY Parts List - Handlebar Assembly NOTE: Part numbers listed are available through MacKissic, Inc. Please add 916- prefix to the part number when ordering. Parts. Ultra 395/495/595t Ultra Max II 490/495/595t 309675V 120 VAC. 3300 psi (228 bar, 22.8 MPa) Maximum Working Pressure. Parts. Ultra 395/495/595t Ultra Max II 490/495/595t F 120 VAC psi (228 bar, 22.8 MPa) Maximum Working Pressure. 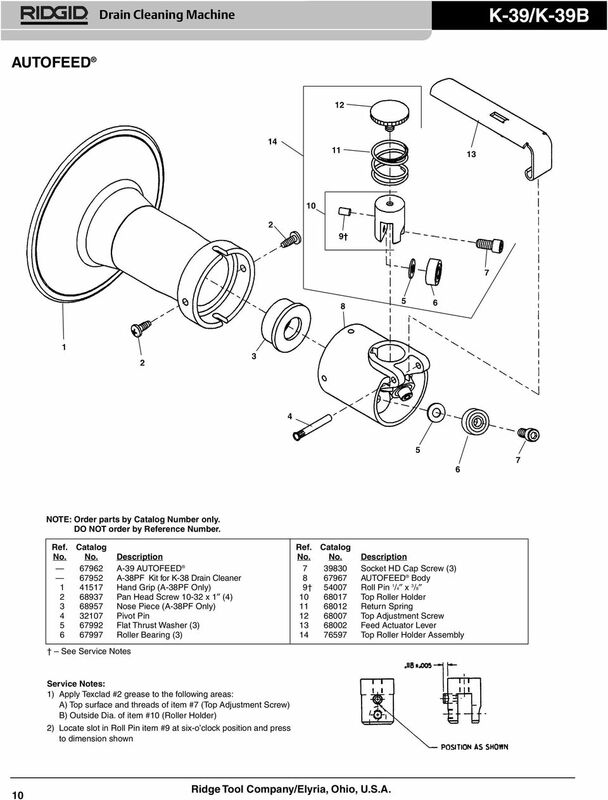 Parts Catalog R WY28T Lawn Mower Worldlawn Power Equipment, Inc. Industrial Park 2415 Ashland Ave. Beatrice, NE 68310 Toll Free Number: 1-800-267-4255 Table of Contents Table of Contents Mower Assembly..
OVEN PARTS 30" BUILT IN ELECTRIC COMBO SENSOR/SC (GOLD LINE) 7 03 Litho In U.S.A. (cre) 1 Part No. OVEN PARTS NOTE: The screws and nuts required to attach a part are listed immediately following that part.